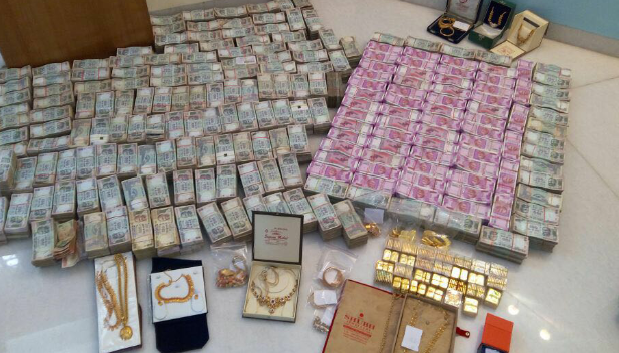 Bengaluru: During a search and seizure operation, 28 kg of bullion, ₹5.7 Cr of new currency notes and ₹ 90 lakhs in old ₹100 and 20 notes was seized from a secret locker in the bathroom of a hawala operator’s residence at Chalakkare, a small town in Chitradurga District. Chalakkare, with a population of 50.000, is about40 kms from the district headquarters. The person, whose house was raided was involved in converting old notes and was accumulating bullion using old currency. This raid on his house was conducted on the basis of intelligence inputs.